16GB Pendrive SanDisk you can get it at an amazing discount of 50%. Get this portable, attractive gizmo at a much cheaper rate. Its original price is Rs. 973 but you can get it for Rs. 490. Not just that.Hurry Up! Offer Limited!! 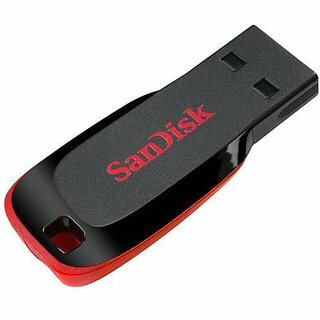 Buy 16GB Pendrive SanDisk for Rs. 490 Only. Now keep the data in your pocket wherever you go. This handy widget lets you carry all your data without the fear of loosing it. It lets you carry all your soft copies anywhere. It is very simple to use. All you need to do is just plug and play. Pendrive can also act as a back up device. If you have the fear of loosing important data from your PC, transfer the data and files to the USB device. It is a medium of sharing data between two or more personal computers. Emphasizing the needs and budget ShopClues presents 16GB SanDisk USB Pen Drive.